Obituary for Joyce L. (Emig) Osiecki | Edder Funeral Home, Inc.
Joyce L. (Emig) Osiecki, 74 of Lake City, passed away on Wednesday, June 20, 2018 at Pleasant Ridge Manor. 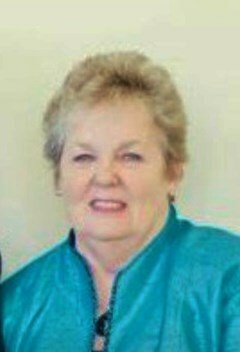 She was born February 3, 1944 in Meadville, a daughter of the late Lawrence A. and Mildred (Berrier) Emig. She graduated from Cambridge Springs High School in 1962. She had worked for home health care and worked in purchasing for various companies and lastly had been employed by Greenbriar Inc. in Fairview, as a Purchasing Manager. She was a member of St. John the Evangelist Catholic Church in Girard, and was a former leader of the Girl Scout Troop in Summit Twp. She is survived by her husband Ronald J. Osiecki, whom she married January 11, 1986 at St. Luke's Catholic Church in Erie; two daughters, Linda L. Willard (Rick) of Lexington, KY., Patty A. Grek (Victor) of Erie; two step sons, Ronald S. Osiecki (Donna) of Wooster, OH., Steven G. Osiecki (Connie) of Erie; a brother, Leonard A. Emig (Janelle) of Ray City, GA.; a sister in law, Jackie DiFucci (Joe) of Wilmington, NC; eight grandchildren, Kaycee, Michael, Madison, Nicholas, Erin, Erica, Amber and Shannon (Kaleb); two great grandchildren, Lillianna Wasielewski and Aubrayella Osiecki also several nieces. Friends may call on Sunday from 4 p.m. to 7 p.m. at Edder Funeral Home Inc., 309 Main St. East, Girard and are invited to attend a Prayer Service there on Monday at 9:30 a.m. followed by the Funeral Mass at 10 a.m. at St. John the Evangelist Catholic Church 101 Olin Ave., Girard with Rev. William Miller officiating. Burial will be in Gate of Heaven Cemetery.